The technical progress gained over a century was important, in particular through the contribution of photographic recording, the improvement of clocks and a better knowledge of longitudes. It was possible to observe the 1874 transit from China (Bejing), Japan (Nagasaki), north-eastern Asia and Australia. 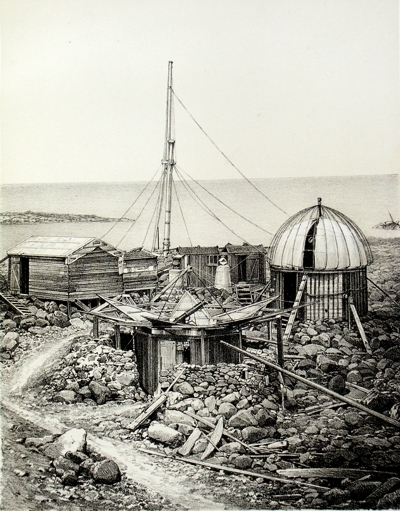 The English under the direction of the Astronomer Royal, Sir George Airy, organized five expeditions distributed over eight observing stations: one in Egypt at Alexandria, one on the island of Rodriguez (now English), one in New Zealand at Christchurch, two in the Kerguelen islands at Port Christmas on Observatory Bay and at Port Palliser and three in the Sandwich Islands (now the Hawaiian archipelago) at Honolulu, Owhyhee and Atoui. To these it is necessary to add the private voyage of Lord Lindsay to Mauritius. The transit was visible in Russia and was observed from 24 stations distributed over a great part of the region from the Sea of Japan to the Black Sea. 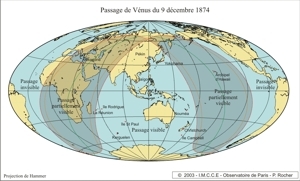 The French organized six expeditions: three in the northern hemisphere, including one at Bejing in China directed by Fleuriais, one in Japan entrusted to the astronomers J. Janssen and F. Tisserand, one at Saigon in Indo-China directed by Héraud and three in the southern hemisphere, of which one on Campbell Island was entrusted to Bouquet of Grye, one in the St Paul Island was entrusted to Commander Mouchez and lastly one in New Caledonia at Nouméa was entrusted to André. 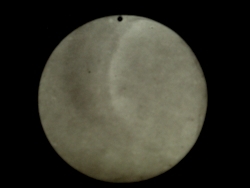 For this occasion, Janssen had invented a kind of "photographic revolver" which took 48 exposures of the transit on a circular daguerreotype plate. 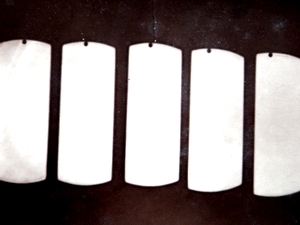 It is necessary to note three other voyages: two German, one to Mauritius and the other to the Kerguelen islands (Betsy Bay) and an American mission also to the Kerguelen islands.